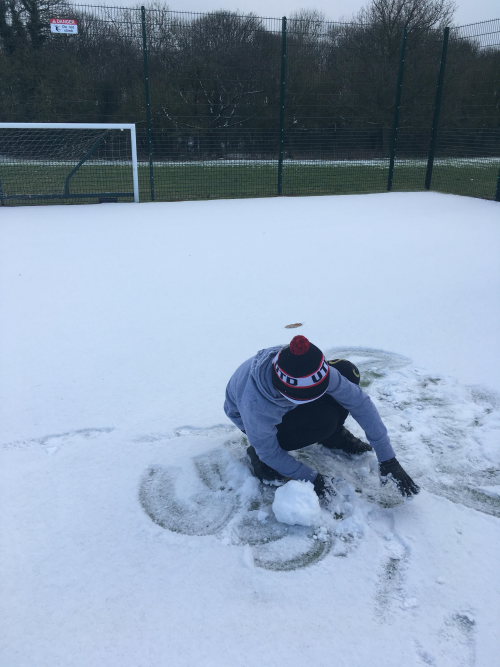 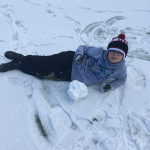 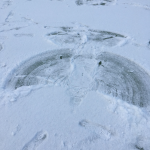 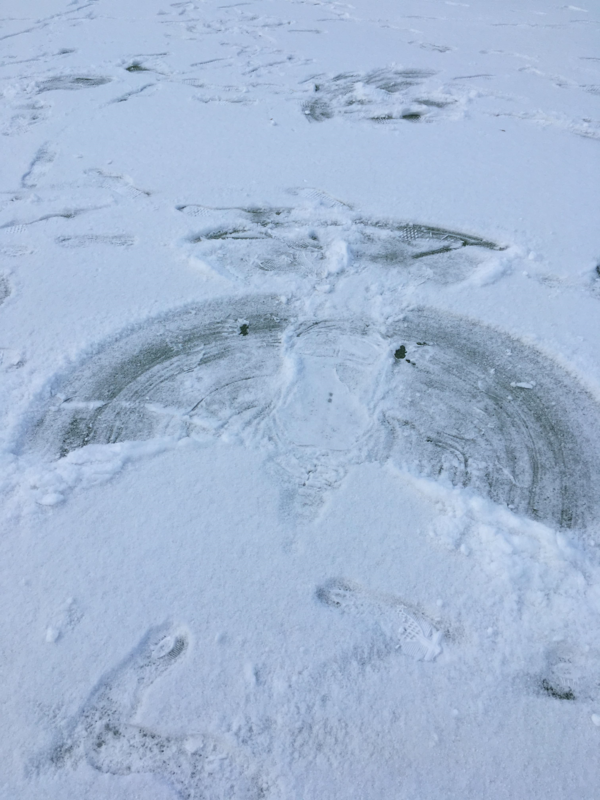 The pupils who stayed on the Residence last night took full advantage of the snow covered MUGA and had a great time making snow angels. 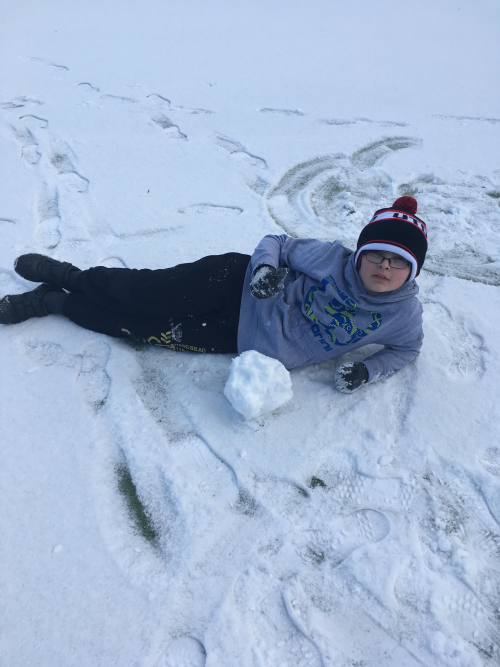 Will there be enough for snowmen by the end of the week? 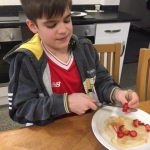 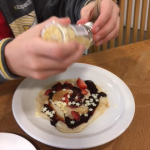 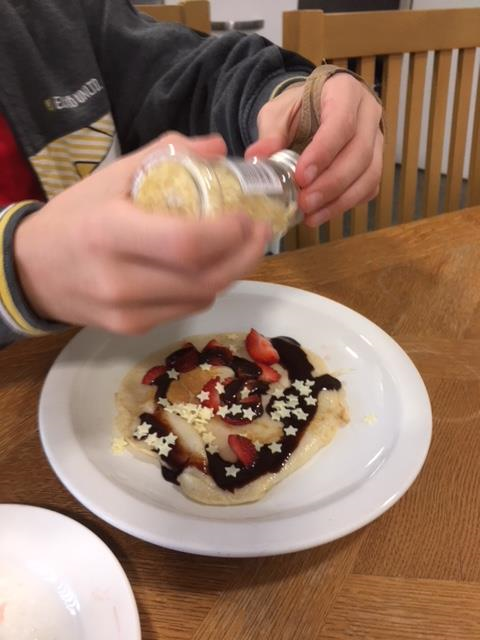 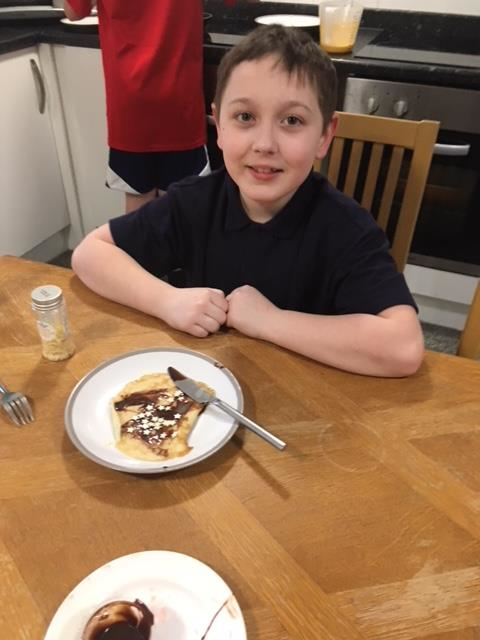 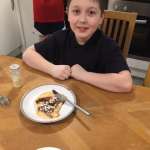 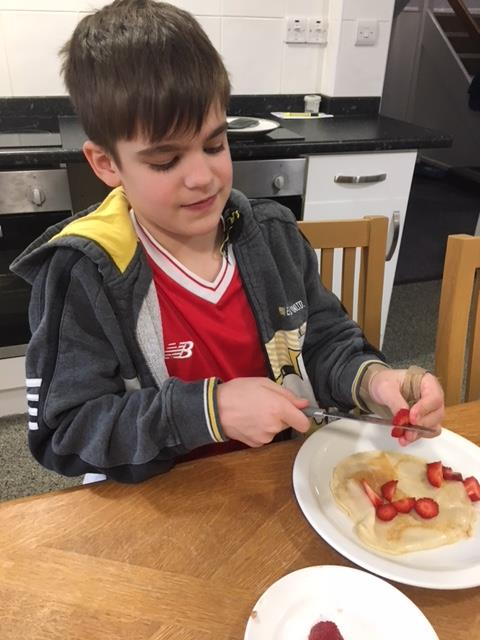 The pupils were also treated to a pancake making session with Val – just look at those toppings!